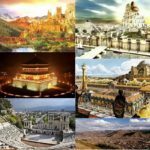 People throughout the world have built pyramids at different times. 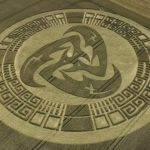 The word ‘pyramid’ comes from the Greek word pyramis which means ‘a wheat cake’. The Greeks thought that the pyramids looked like cakes. 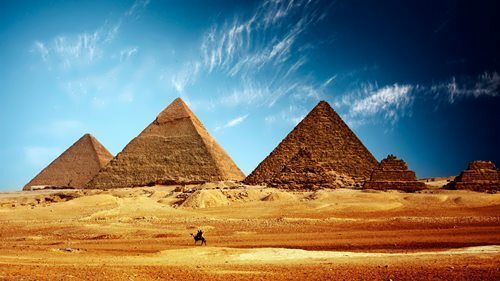 The most famous pyramids were built in ancient Egypt more than 4,500 years ago. The pyramids of Mexico, Central America, and South America are also well known. Many ancient peoples of Mexico and Central and South America built pyramids. They usually used dirt and stone. The Maya built a famous pyramid called the Castillo in what is now southeastern Mexico. 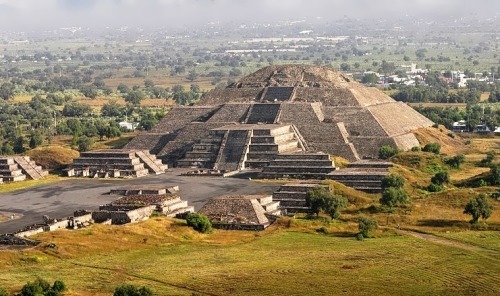 The people of the ancient city of Teotihuacan, in central Mexico, built the Pyramid of the Sun and the Pyramid of the Moon. 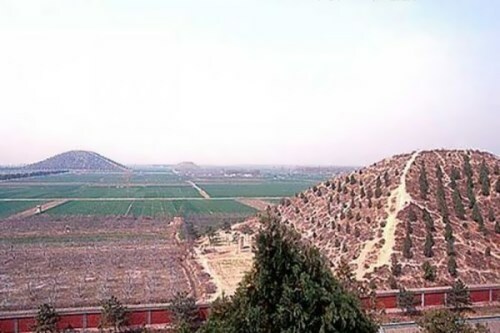 There are a lot of pyramids in China. They are not very high from 25 to 100 meters with a flat top. Most of the pyramids are planted with trees. And the most interesting is that the Chinese scholars did not rush to get inside the pyramids. 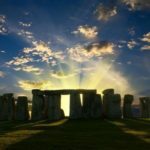 They believe that humanity is not mature enough to find artifacts of our ancestors. In the mid-1990s Japanese divers accidentally found a pyramid which towered as high as 18 meters above the sea floor. It was near the island of Yonaguni. Scientists concluded that the building was created by humans. In addition to the underwater pyramid there were seven similar buildings. In the spring of 1998 in the Korea Strait, which separates Japan from South Korea, the Japanese divers found four round stone towers. One of them had a spiral staircase. 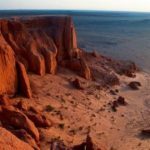 Report on the sensational discovery was placed on the front pages of major Japanese newspapers and a documentary television film was made. 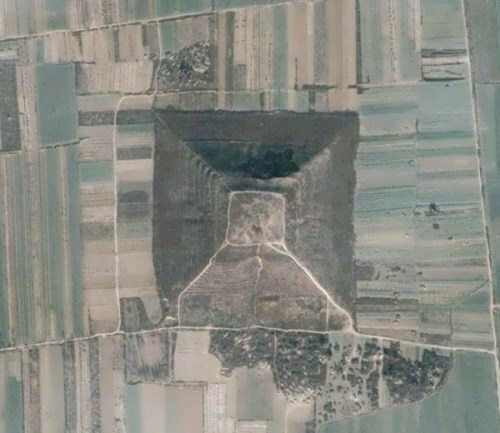 In Primorsky Krai (informally known as Primorye, Russia) there are also pyramids. 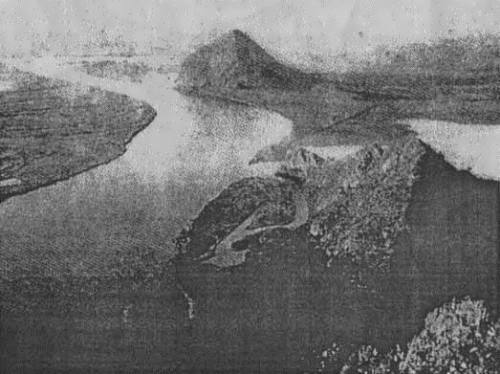 In 1931 a military plane took an interesting photo. 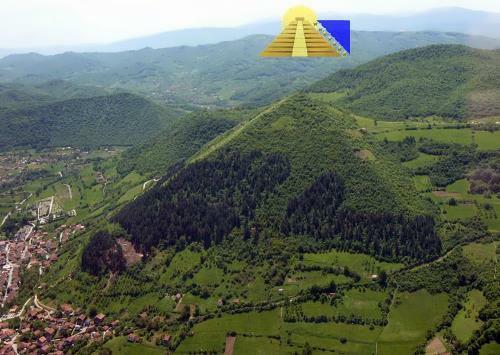 These pyramids (now they are called the mountains) are Brother and Sister. Their height is about 300 meters, the age is about 10,000 years. The pyramids of ancient Egypt were tombs. Egyptian kings had themselves buried with gold and other treasure. They had pyramids built partly to keep out people who would steal the treasure. However, robbers broke into the Egyptian pyramids in ancient times. The Great Pyramid was built for King Khufu (Cheops, in Greek) in about 2550 BC. About 100,000 workers spent about 20 years building the Pyramid. 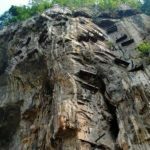 They stacked about 2.3 million blocks of stone to a height of 471 feet (143 meters). Each of the blocks weighed about 2.5 tons. Modern scientific studies tend to support an ancient Egyptian civilization capable of acquiring the knowledge and the extended social system required for the building of such massive and sophisticated structures as the pyramids. 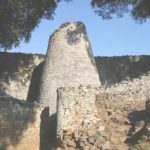 Recent discoveries support a view that skilled engineers and masses of peasants were fed, housed, and clothed while performing work for a leader they revered as a god- king. Evidence that some of the laborers took great pride in their work is reflected in ancient graffiti. The pyramids of Giza were one of the Seven Wonders of the World in ancient times. They are the only one of the seven still standing. Pyramids and the Sphinx are probably the world’s oldest and best-known enigmas. 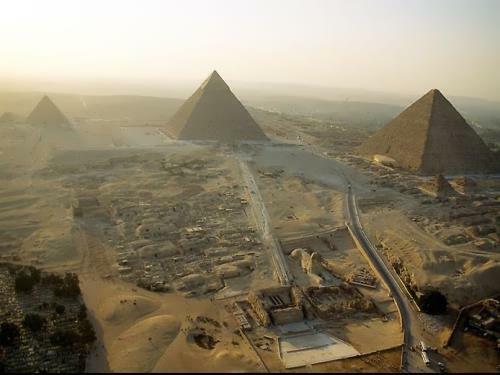 In fact, all three of the pyramids at Giza were erected as tombs, yet not a single body has been found in any of them. The bodies of the pharaohs and their queens might still be buried somewhere in the pyramids—or, perhaps their remains fell victim to tomb robbing. One of the most famous visitors to the Great Pyramid was Napoleon Bonaparte. His military expedition to Egypt in 1798 was not only military but archeological as well. He took with him engineers, astronomers, artists and archeologists. They measured, explored and made drawings of Egyptian pyramids. Alexander the Great, too, spent some time alone in the King’s Chamber. The Great Pyramid alone contains 11 million cubic yards of stone. During the 1990s, archaeologists Mark Lehner and Zahi Hawass developed theories for the pyramid building that reduced the workforce from the 100,000 laborers cited by Herodotus to a much smaller skilled crew of laborers that worked on the Great Pyramid year-round, but were joined by thousands of other workers only during the late summer and autumn months when the Nile River overflowed and drenched agricultural fields. When the annual flooding occurred, farmers and villagers left the fields to work on the Great Pyramid for their god-king. Edgar Cayce (1877-1945) believed that the pyramids were actually thousands of years older than they were credited. He was among those mystics who believed that people from the legendary, advanced civilization of Atlantis built the pyramids not long after 10,500 B.C.E., just prior to the time when their own homeland was destroyed by a natural or human catastrophe.